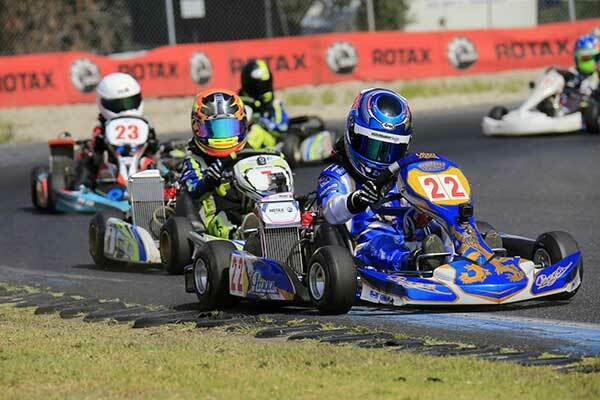 Young Wellington karter Ryan Wood enjoyed a winning start to his 2018 Rotax Pro Tour campaign in Australia over the weekend, claiming top honours in the Junior Rotax class in Melbourne. The teenager is no stranger to the top step of the podium across the Tasman, having claimed his first Rotax Junior class round win at the Coffs Harbour round of the 2017 Rotax Pro Tour in June and ending up fourth overall in the class points standings last year. 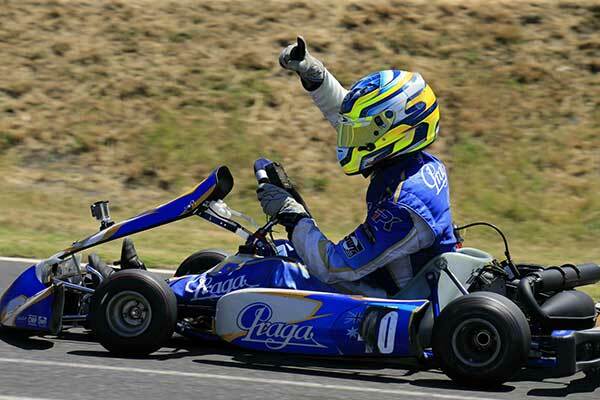 He had his work cut out at the opening round of the 2018 series at Melbourne’s Todd Rd kart track though, qualifying sixth and finishing ninth in the Pre-Final. From the start, however, he kept moving forward in the 22-lap Final making it to third place by the 10th lap and a lead he would never lose by the 12th. The win capped off an impressive weekend for the eight-strong Kiwi squad at the opening round of the popular Rotax category’s six-round 2018 series. Palmerston North driver Josh Hart was next best with a fighting fourth in Rotax 125 Light, Tauranga’s Sam Waddell finished fifth in DD2, and Michael McCulloch from the Kapiti Coast and Sebastian Manson from Auckland finished seventh in their respective classes, McCulloch Rotax 125 Light, Manson Mini Max. 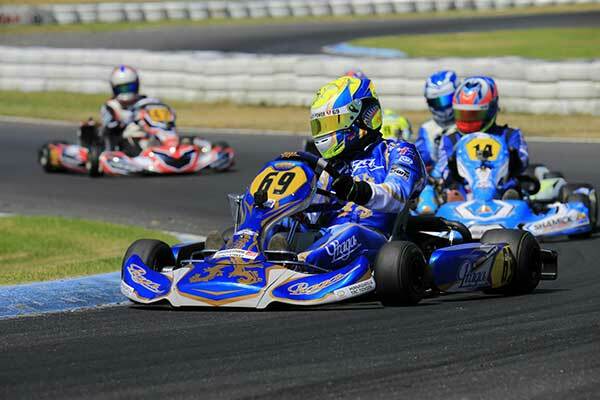 There could have been two Kiwis fighting over the lead in the Junior Rotax class as well. 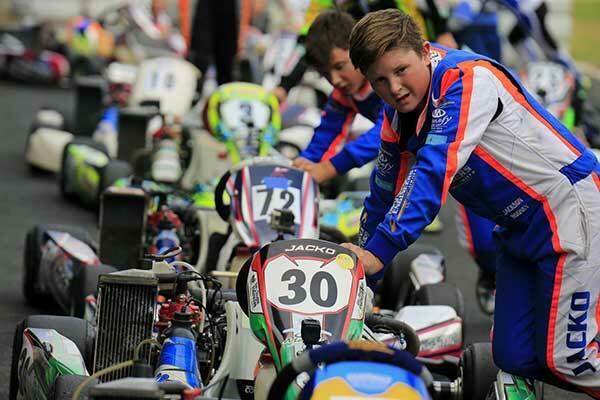 Jackson Rooney from Palmerston North qualified fourth and started the class final from the front row of the grid after a breakthrough win in the Pre-Final. Unfortunately, he was elbowed out of the way early on as the front-runners jostled for track position and sent tumbling down the order. By the time the youngster had gathered things back up he was at the back of the 32-strong pack, but in a show of raw speed and determination set the fastest race lap as he fought back through the field to finish a hard-won 13th. Things could have been different, too, for Connor Davison from Hamilton, the third Kiwi contesting the Junior Rotax class this year. He had to start the Final from the rear of the grid after a contact-caused dnf in the Pre-Final, but persevered, making it up to 18th place by the time the flag came out. A full-course yellow flag in the Rotax 125 Light qualifying session came just at the wrong time, meanwhile, for top Kiwi female driver, Rianna O’Meara-Hunt. 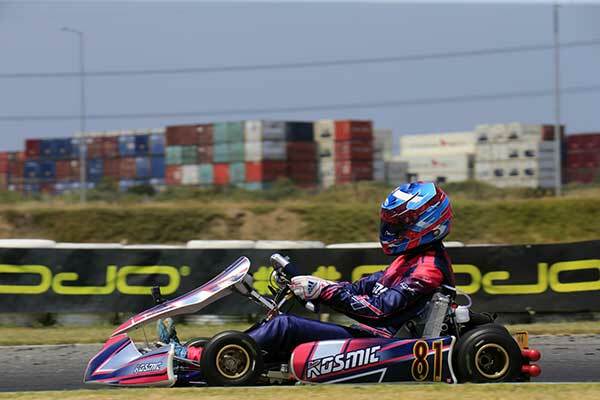 The 16-year-old former Pro Tour Junior Rotax class round winner, quickly moved up the field from her P20 qualifying spot in the heats (P8, P9 and a best of P4). She also got as high as P7 in the Pre-Final before being shuffled to the outside of the track at turn one part way through the race then seeing the freight train of karts roll past. That put her to the back of the field from where she recovered to finish 25th. The Final saw a similar scenario, O’Meara-Hunt making up at least 10 spots early on only to slip back and eventually cross the finish line in 20th place. Melbourne’s searing summer temperatures (it hit 41 degrees C at the track during the weekend) didn’t help any of the drivers, the Kiwis especially. O’Meara-Hunt’s slight build has also created a conundrum now that – at 16 – she has to race in a Senior category.